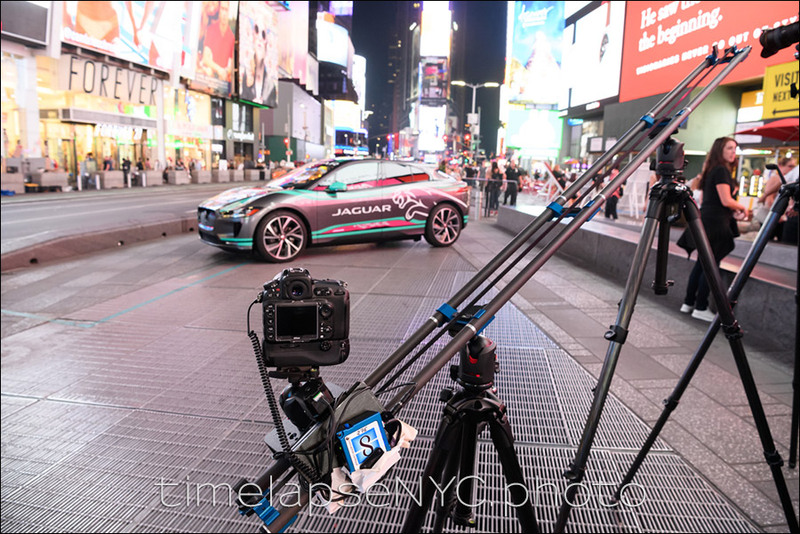 This was an exciting time-lapse project – creating a behind-the-scenes time-lapse video of an automative photographer, DW Burnett, shooting cars in the middle of the night in Times Square. The cars were the Jaguar I-PACE – the first electric Jaguar car. 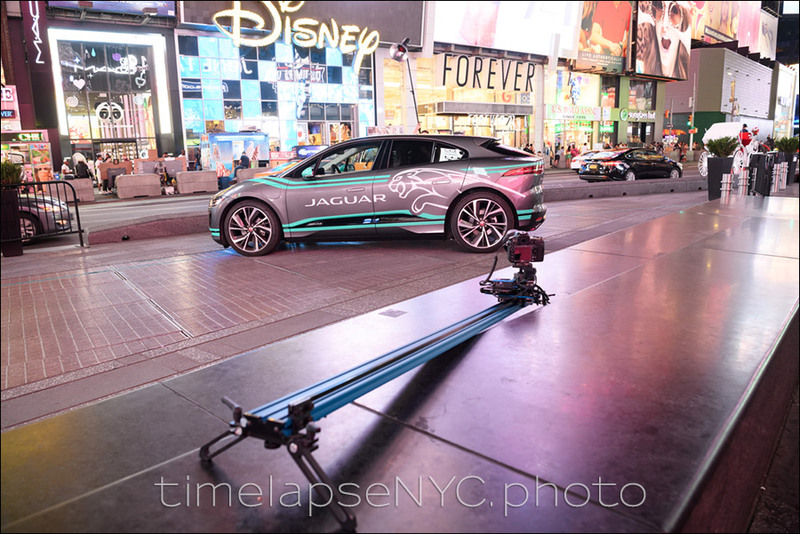 The time-lapse footage was shot for the agency Spark44, who was tasked with handling Jaguar’s social media campaign. We started after midnight when some of the crowds had dissipated in Times Square, and wrapped around 5am in the morning. I used 4 cameras for this project – 2 were static on tripods, and 2 cameras were on motion dollies to give movement to the footage. The agency just wanted the RAW files from the cameras so that they could create the final video footage. Something I was happy to supply – just the RAW files from my cameras. However, to see how the footage came out, I created this test reel for myself, using just the images from the cameras on the moving dollies. As with any time-lapse project, there are some challenges. One of the challenges here was to stay out of the way of the main photographer – not hampering his movements or creative process – yet still predict which would make the most interesting angles for the time-lapse videos. I had no control over how the cars would be positioned, or when they would be moved during the photo session – so I had to work around those unexpected events. This meant the dollies, which are on sturdy tripods, still had to be easy to set up and adjust. 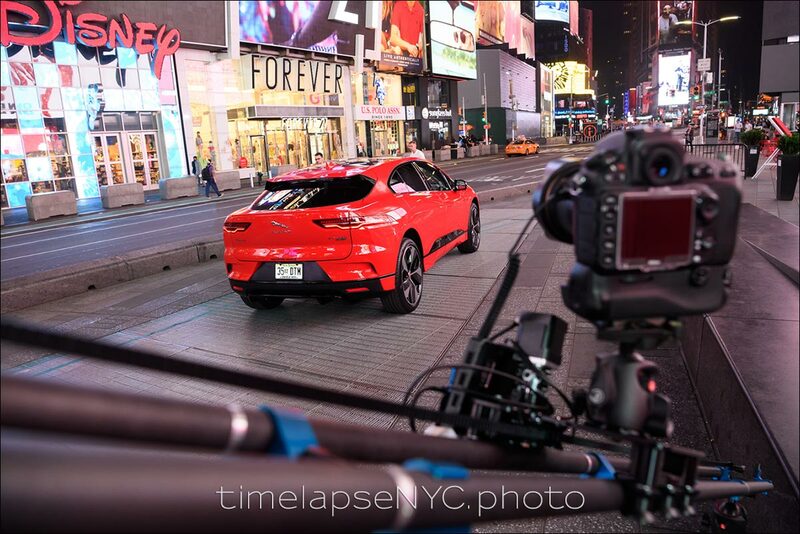 I love the final result – a fast-paced time-lapse video that shows some of the frenetic feel of New York, while showing the cars to great effect … and also shows the photographer at work.